Maple Sweet Potatoes - You will want to make double! 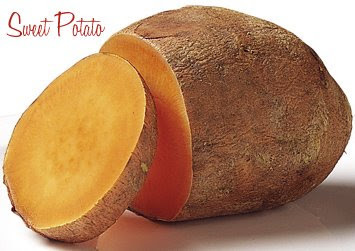 peel: Peel the sweet potatoes and cut into 1/2 inch thick slices. drain: Drain the potatoes in a colander. whip: Use an electric hand mixer to whip the potatoes. Begin on low and increase as needed. top: Transfer to a table ready bowl and top with a few chopped pecans. make ahead: This can be prepared earlier in th day and reheated just prior to meal time.